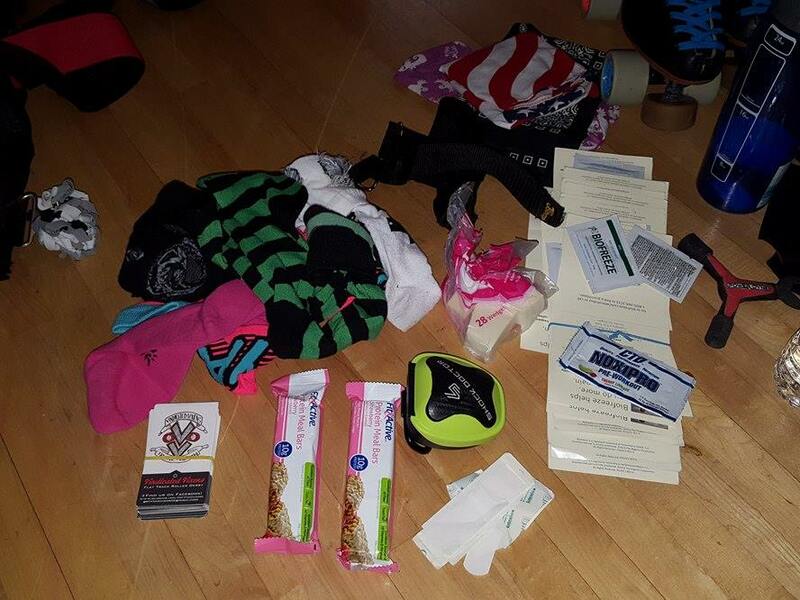 Welcome to another edition of What's In My (Derby) Bag! I don't know about you, but I'm always interested in what people carry around with them. Looking in someone's bag is kind of like taking a peek into who they are as a person. Today's guest is skater Gram Crack Her! A look through Gram's bag suggests she abides by the Boy Scout motto: Be Prepared. GCH: Protein bars -- I eat them all the time. GCH: Make-up pads. They’re actually not for make-up, I have a spot on my skate that rubs so I tape a make-up pad in there and it prevents pain and blisters. GCH: I think it's all pretty much derby-related! What's the weirdest thing that's ever been in there? GCH: Right now I have a “Little Sis” bracelet I got from my “big sister” on my former team, the DuPage Derby Dames. GCH: Jammer straps. They keep my skates in place. Thanks for sharing with us, Gram!